The Junior Infants have been learning so much over the last few weeks, and we’ve just about managed to catch a few photos of them busy at work and play below! 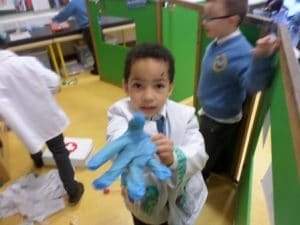 They loved having a doctor’s surgery in the classroom and learned all about living things, and what they need to grow. They made excellent doctors, nurses and patients! 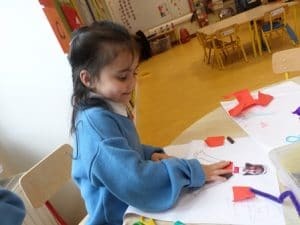 They have gotten very good at spotting the rhyming words in their nursery rhymes ‘Miss Polly Had a Dolly‘ and ‘Doctor Foster‘, and retelling the story of ‘Zog and the Flying Doctors‘. See here for more photos of the Room 2 Doctors and nurses! They traded in their doctor’s surgery for a Clothes shop next, and loved designing, describing and making their own clothes and mittens to go with their favourite story, ‘The Smartest Giant in Town’ using lots of different textured materials. Ask them to sing their Smartest Giant in Town song for you, or their Three Little Kittens Ryhme. 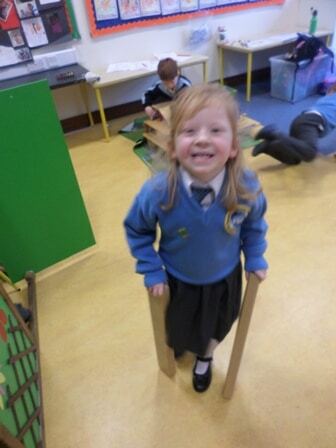 They are really good at comparing height, and spotting the shortest and tallest people in their class now, and they’ve even been building tall and short robots during play time-check them out here! 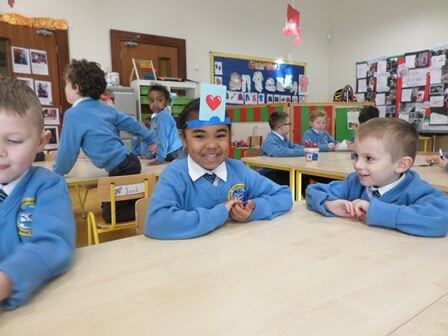 The Junior Infants particularly enjoyed Maths4Fun, when lots of their mums and dads came in and played fun maths games with them, and talked to them about all the different ways we use maths- many thanks to all of them for coming in to help us learn! This is one of their favourite maths songs so far- In On Under and they loved playing directions games, hiding and finding different objects! 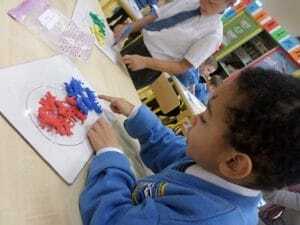 Take a look at them during Maths4Fun week here! Well done Room 2, you are super stars!